The late Sylvia Madoff was registered as a broker-dealer in the 1960s but left the business after being cited for failing to file reports. NEW YORK (Fortune) -- Accused Ponzi schemer Bernard Madoff was not the first person in his close-knit family to run afoul of federal authorities. A broker-dealer firm registered in the name of Madoff's mother, Sylvia, was effectively forced to close by the U.S. Securities & Exchange Commission more than 40 years ago. In August 1963, the SEC announced it was "instituting proceedings...to determine whether" 48 broker-dealers, including "Sylvia R. Madoff [doing business as] Gibraltar Securities," had "failed to file reports of their financial condition...and if so, whether their registrations should be revoked." An SEC litigation release a month later announced hearings in the case of Madoff and many of the other firms in question. Then, in January 1964, the SEC dismissed administrative proceedings against a number of the firms, including Madoff's, in what appeared to be a deal: No penalties if you promise to stay out of business. "The firms conceded the violation," the SEC's litigation release noted, "but requested withdrawal of their registrations; and in this connection they represented that they are no longer engaged in the securities business and do not owe any cash or securities to customers. The Commission concluded that the public interest would be served by permitting withdrawal, and discontinued its proceedings." Despite Sylvia Madoff's SEC registration as a broker-dealer, three high school classmates of Bernard Madoff say they don't recall her being a stockbroker (something that would have been unusual, and memorable, in that era - not to mention theoretically easy to spot given that the firm's address was the Madoff family home in the Laurelton neighborhood of Queens, N.Y.). But a fourth high-school classmate of Bernard Madoff, Ed Heiberger, says he recalls that it was Madoff's father, Ralph, who "was either a stockbroker or a customer's man" (the latter is the equivalent of a client or account representative). Both Sylvia and Ralph Madoff died in the 1970s, according to Social Security records. This wouldn't be the first Madoff mystery, of course. It's possible that Sylvia Madoff was running a securities business even as her son launched his own in 1960. Another possible explanation is suggested by property records for the Madoff's house. The "grantor/mortgagor" was listed as Sylvia R. Madoff, according to Queens property records. But the property had tax liens totaling $13,245.28 (about $100,000 in today's dollars) for unpaid federal taxes owed by Ralph Z. Madoff and three other people. The taxes were assessed in 1956, but the lien was not paid off until 1965, when the house was sold, suggesting that the Madoffs were either fighting the tax bill or unable to pay it. Is it possible that Ralph Madoff, burdened with federal tax trouble, contrived to register his own stock business in his wife's name? The records are lacking so far, and Andrew Grass, who was the chief enforcement attorney for the SEC's New York office at the time, says he can't remember the case. Bernard Madoff's lawyer, Ira Sorkin, declined to comment. 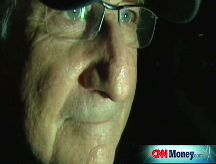 His brother Peter Madoff's lawyer, John "Rusty" Wing, did not respond to phone calls and questions emailed to him. But it adds yet another intriguing question in the case of a man who becomes seemingly more and more elusive.